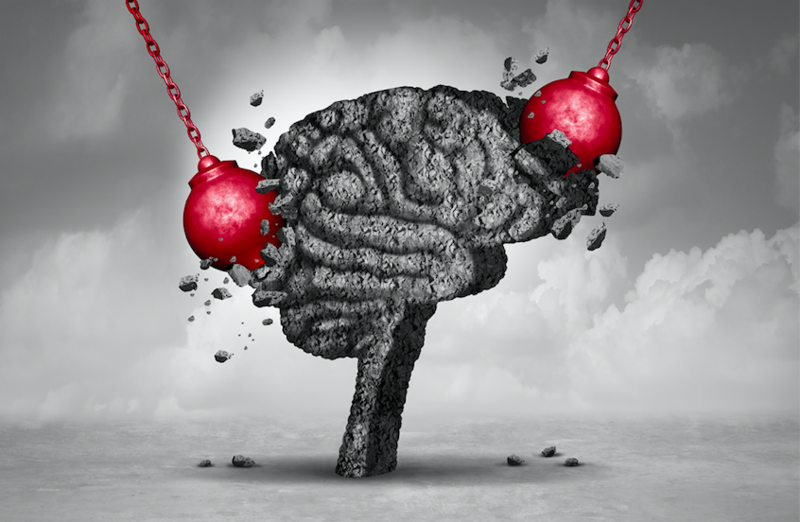 Read Part 1 of the article about the causes of non-traumatic brain injuries, which we target at NeuLife’s brain injury facility. Today’s article includes several other sources of non-traumatic (acquired) brain injury. Bleeding inside the brain is known as a brain hemorrhage. It’s caused by an artery in the brain bursting and causing localized bleeding in the surrounding tissues. When blood collects into a mass, a hematoma, it puts pressure on brain tissue, making brain cells die. There are several factors that may cause bleeding: head trauma, aneurysm, high blood pressure, and tumors. The bleeding may range from minor to life-threatening, and may temporarily impede brain function. When the bleeding spreads to other areas of the brain and deprives the brain of oxygen, the damage may be permanent. A reduced supply of oxygen to the brain is called hypoxia, while total deprivation is anoxia. Anoxia is by definition more dangerous, but both can result in severe brain damage. Depending on the time of oxygen deprivation, the damage can be minor (up to one minute of deprivation) or severe (around four minutes). At the 4-6 minute mark, oxygen deprivation becomes fatal. Every brain surgery is a risk of greater complications, such as a hemorrhage, stroke, or damage to surrounding brain tissue, which can be discovered by doctors during the surgery or after. In some cases, though, the risk of not performing surgery is greater than the risk associated with the surgery, so doctors and patients pursue it anyway. The decision, however, needs to be mutual and the patient should be acquainted with all the risks. NeuLife’s brain injury facility often admits patients with post-surgical conditions, as conditions in the clinic are designed specifically to ease problems with rehabilitation and speed up recovery as much as possible. Dementia is a loss of mental ability severe enough to interfere with normal activities of daily life, lasting for a prolonged time, but without losing consciousness. Most forms of dementia, including Alzheimer’s, are caused by deterioration of brain tissue. Symptoms of dementia can include problems with memory, thinking, and language, along with impairments to social skills and some behavioral symptoms. Age is the biggest risk factor for developing dementia. Currently there are no medications to treat Alzheimer’s disease or other types of elderly dementia. Medications may improve symptoms, but none can halt or reverse progressive damage to the brain. Therefore, it is crucial that patients with dementia are placed in a safe environment, which often is a brain injury facility. Seizures, especially grand mal seizures that last longer than 60 seconds. Diabetes and some other endocrine system disorders. Reaction to a medical procedure or prescription drug. Exposure to certain environmental toxins, or as the result of asphyxiation due to smoke inhalation. Want to learn more about the NeuLife brain injury facility? NeuLife is a Residential Post-Acute Rehab facility specializing in brain injury rehabilitation. Its program includes physical medicine and rehabilitation medical management, psychiatric and neuropsychological services, physical, occupational, speech and cognitive therapies, behavioral, dietary and vocational counseling, and more. Beautifully situated on 43 acres in Mount Dora, Florida, its inpatient rehab facility comprises over 60,000 square feet and contains 54 private rooms or suites. If you would like more information about NeuLife Rehabilitation Services, please contact us.